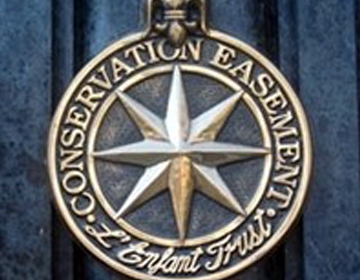 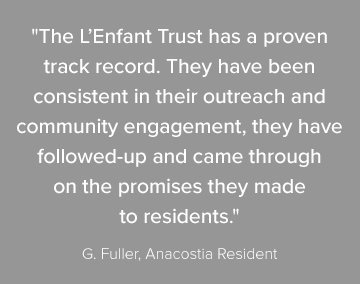 The L’Enfant Trust is a community resource for technical preservation. 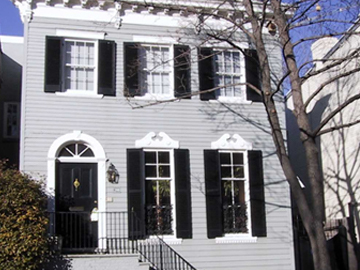 Our mission is to preserve and revitalize Washington’s historic communities through programs that preserve the streetscapes and architecture of historic Washington, D.C.
A Conservation Easement is an important preservation tool that protects a historic property from demolition, neglect, and insensitive alterations, and ensures that the property maintains its historic character in perpetuity. 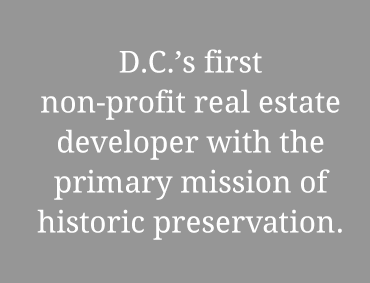 The L’Enfant Trust’s Historic Properties Redevelopment Program is D.C.’s first nonprofit real estate developer that focuses on the rehabilitation of distressed historic buildings and community revitalization. 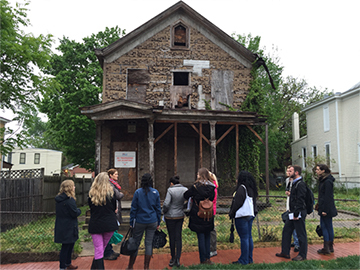 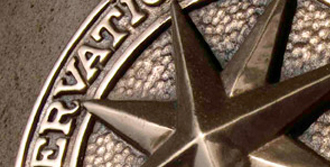 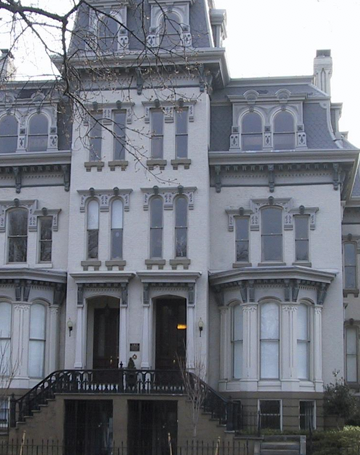 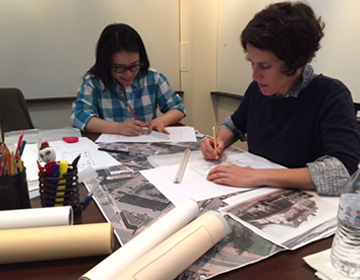 The L’Enfant Trust maintains a full-time, professional staff and educational resources to assist you with caring for or learning about a historic structure. 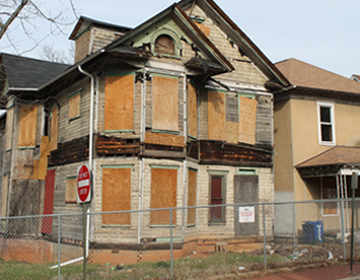 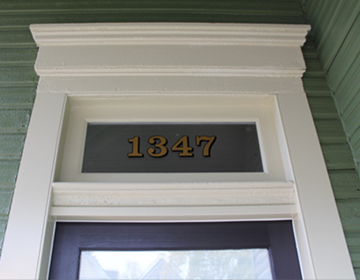 Help revitalize our city’s historic neighborhoods.